Thousands of outraged fans worldwide have signed a petition demanding organizers of the 2014 Incheon Asian Games to honor its commitment and let popular K-pop boy band JYJ perform during the opening ceremonies on September 19. The petition was launched by JYJ fans on the Change.org website a few days ago. 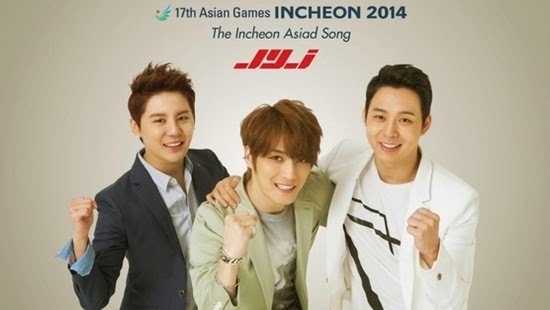 JYJ members were appointed as goodwill ambassadors of the games in February 2013. They have been promoting it since, even going on to record the games’ official theme, “Only One.” The group likewise filmed multiple televised commercials to better promote the upcoming Games. C-JeS Entertainment, JYJ’s agency, earlier said that the organizing committee guaranteed the group’s performance in the opening and closing ceremonies of the games including the finale. They were as surprised as the fans when the group was not among those lined up to perform. More fans and supporters from all over the world are signing the petition as of press time.